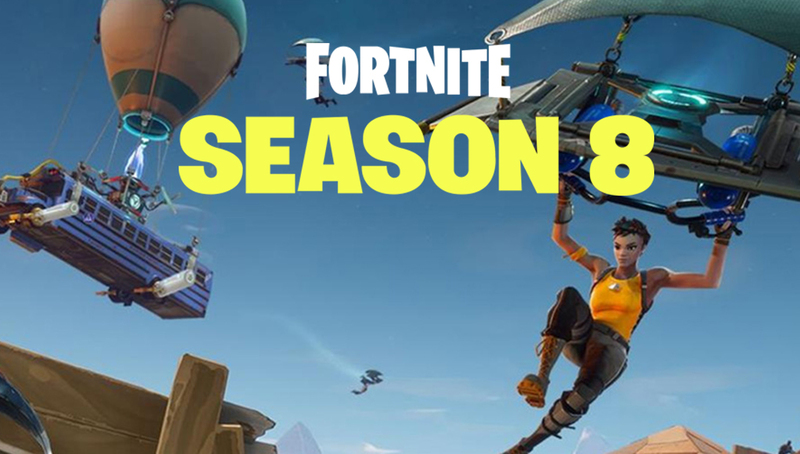 Fortnite Season 7 is winding down fast and now we have Season 8 in our sights. The long-awaited Fortnite Season 8 is nearly here and Epic Games has revealed the exact time downtime will begin for the patch. Downtime will begin for Season 8 tomorrow, February 28, at 4 AM ET (1 AM PST, 9 AM GMT) as the team begins to implement all of the new changes coming with the season. We do know planes will be disappearing once the update hits but players can still look forward to cruising around on the Driftboard as that will be staying. When the patch goes live we’ll keep you informed with the patch notes, all of the changes, the Battle Pass contents and more so stay tuned. With Season 7 coming to a close, it’s safe to say this was one of the more controversial seasons to date. Planes and the Infinity Blade created a rift in the community that never truly seemed to heal. If you couple this with Apex Legends, another battle royale title on the market, Fortnite had its work cut out for it with this next season. It’s possible Epic Games knocks it out of the park with this next season and puts all of those worries in the rearview mirror.